Pay by Credit Card, Debit Card, PayPal or Apple Pay. ISO 14001:2015 Environmental Management System Manual with quality policy, quality objectives, including all clauses of the standard and every requirement documented. All procedures, forms, reports, process maps, audit checklists and a Non-Conforming & Corrective Action Tracker. As above but with clause-by-clause interpretation, Internal Audit Guidance and ISO 14001:2015 v 2004 Correlation Matrix – everything you need to learn about ISO 9001:2015 – totaling 78 pages. For more details and PDF download samples, please see the table further down the page. As above (First time implementation) but with detailed instructions to help you migrate your documentation from the previous standard. Includes a Gap Analysis Checklist, Transition Plan, Implementation Checklist & Transitioning Planning Guidance. As above but with clause-by-clause interpretation, Internal Audit Guidance and ISO 14001:2015 v 2004 Correlation Matrix – everything you need to learn about ISO 14001:2015 – totaling 78 pages. 5. Our templates are generalizable for any industry or sector. The application of our templates is scalable and generic; regardless of the size and type of organization. Same format and numbering as the standard - why? Each Procedure and Form is a separate document - why? You will be sent 2 emails. The first contains a link to the download files. The second is a sales receipt. Purchase order – how do I pay by Purchase Order? Wire Transfer, BACS or CHAPS – how do I pay by wire transfer? 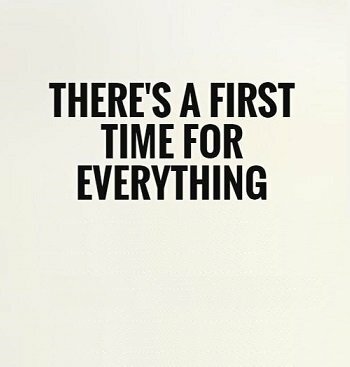 After you click 'Buy now' you can choose to pay by PayPal or Stripe. After payment, we use SendOwl to send you the download files. Safety is our #1 priority. We guarantee our website and payment processing is 100% secure. You can use the VeriSign Identity Protection (VIP) Network which offers an extra layer of security when you log in to PayPal with your PayPal Security Key. Learn about PayPal's buyer protection. Secure HTTPS (SSL/TLS) digital certificate by https://letsencrypt.org. What format are the templates? All of the templates are supplied as MS Word, MS Excell or PDF documents to be edited and modified to suit your company. Do the templates use styles and headings? Yes, the templates use styles for text and headlines, allowing you to easily and quickly adjust the formatting. Are the headings linked to the table of contents (TOC)? Yes, the table of contents (TOC) is auto formatted to align with headings 1,2, etc. How should I assign document numbers and their sequence? We use the same numbering sequence as ISO 14001 in our Environmental Management System templates. You are free to replace these with a system that works best for your staff and for the business - as long as the system is logical, documented and communicated, it should be more than adequate. Payment processor - We use Paypal and Stripe to process all credit card and debit card payments. Wire Transfer or BACS - For more information please click here. Wire Transfer or BACS - All currencies. For more information please click here. Credit Card or Debit Card - We accept payment in 135 currencies. The currency conversion calculation will be displayed to you at the time of payment. Can I use a Credit Card or Debit Card? Payment processor - You can choose to use Paypal or Stripe to process your credit card or debit card payments. Can I pay by wire transfer, bank transfer or BACS? Yes, for more information please click here. How do I download the product? 1. After payment you will be taken to the download page. You can download the files immediately to your computer or dropbox. 2. You will be sent 2 emails. The first contains a link to the download files. The second is a sales receipt. Can I download the product immediately and start using it? Do you send me an email with the download? How do I download the product if I pay by bank transfer or BACS? You will be sent an email. For more information please click here. Yes, we provide ongoing technical support and can advise on questions regarding the templates and their application. Please contact us to discuss your requirements and ensure our templates are right for you. Yes, you can call us. 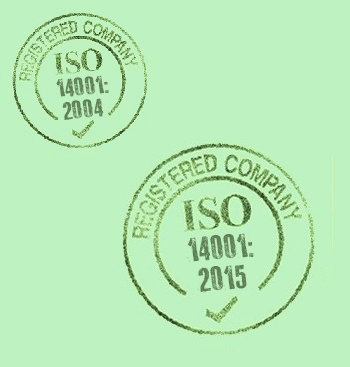 For ISO 14001 documentation support it is best to email us with your documentation attached along with your questions. Do you offer consultancy services? Yes we offer ISO consultancy services in the UK, please contact us for more information. What is the product license? Template license - the product is licensed for you to use within one company indefinately. For more details please read our terms and conditions. Support and Updates - you receive one years email support and updates from the date of purchase. If you have any questions, please email our support team with your documentation attached along with your questions. Can I use the Templates for more than one company? No. If you wish to use the templates for another company, please email us your requirements and we will offer you a discount on subsequent purchases. How often do you update the products? Product development - major updates occur once a year, generally in January or February. This includes updates to the Environmental Management Template, procedures and supporting materials. Auditors like to see continuous improvement to your Quality System documentation. We aim to help you by refining the documentation through projects we have worked on throughout the year. Implementing these changes to your Quality Manual or Procedures provides evidence of this work for your next Audit. We also provide new content we insert into the Template packages to you free of charge - for example this year we are working on training materials for Internal Auditor and Staff Training. Minor improvements are not usually scheduled for release as an update unless they will help your business - such as better processes or flow-chart diagrams. Which template should I buy? If you are new to ISO 14001:2015 you should buy the 'guidance' version. Please contact us if you are unsure which version of the Template is suitable for you. Do the templates include everything I need to prepare for ISO certification? Yes. They contain everything required to achieve ISO 14001 certification. A. If you are just looking for help documenting your Quality Manual and Procedures - this will take 2 to 3 days. 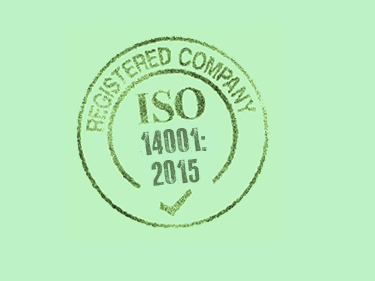 For more information regarding the steps needed to gain ISO 14001 certification please read How do I implement ISO 14001? Are the templates 'universally acceptable'? Yes, our templates are purchased and used Worldwide. ISO 14001 is an international standard and this is reflected in our templates. Please email info@iso-9001-checklist.co.uk or call us on 0845 054 2886 if you have any questions about our Quality Manual Templates and if they're suitable for you. Please view our Client list.